With rapid advances towards a techno-driven society, the legal fraternity is up for some serious competition with business-making and financial-planning software. At JP Morgan, a programme called COIN is rounding off the tedious task of analysing financial deals within seconds, something that consumed thousands of hours of legal teams. The software, called COIN for Contract Intelligence, is revolutionary software that does the herculean task of interpreting commercial loan agreements which accounted for about 3,60,000 hours of lawyers’ time annually. A one-up on human capacities, this technological innovation enables completion of mundane and time-hogging tasks within seconds and is less error prone. The software has helped JP Morgan cut down on loan-servicing mistakes which occurred as a result of human errors in interpreting 12,000 new wholesale contracts per year, according to its designers. The bank is developing more ways to deploy the technology and identifying patterns and relationships. COIN would soon be used in other types of complex legal operations and filings like credit-default swaps and custody agreements. In future, technology may be employed to interpret regulations and analyse corporate communications. JP Morgan has been majorly investing in technology and is heralding a new era of automation in the financial sector. As per reports, COIN is just the beginning, as the firm is making rapid strides towards technological revolution, with major investments in machine learning and a new private cloud network. 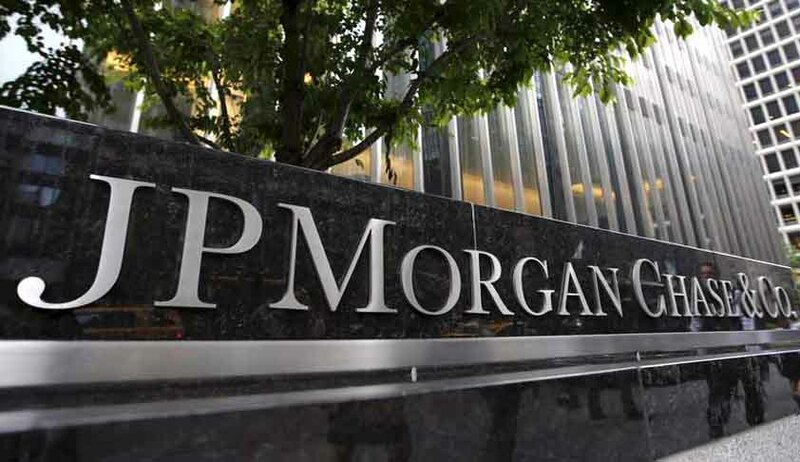 JP Morgan has recently put in place techno hubs for teams specialising in big data, robotics and cloud infrastructure to find new sources of revenue, while reducing expenses and risks. A major chunk of the firm’s $9.6 billion technology budget would be dedicated towards automation of mundane tasks and creating new tools for bankers and clients. This amounts to 9 per cent of the projected revenue, a double of industry average, according to Morgan Stanley analyst Betsy Graseck. With an impending fear of losing its customer base to start-ups, the firm is aggressively pursuing technological innovations. Even though the firm emerged from the financial crises, the strategy is driven by this ‘undercurrent of anxiety’. They intend to gradually increase the budget share for new initiatives to 40 per cent. The man behind the strategy, Chief Operating Officer Matt Zames, said when he joined the firm in 2013, the bank’s internal systems, after decades of mergers, had too many redundant software programmes that lacked coherence and hindered seamless operations. He said, “Remember one thing above all else: We absolutely need to be the leaders in technology across financial services.” As per Chief Information Officer Dana Deasy, it was that meeting with the COO that led to all the current strategic decisions in this respect. Last year, the bank’s own computing cloud Gaia went online. Machine learning and big-data efforts have developed a limitless capacity to process data. The system already is helping the bank automate some coding activities and making its 20,000 developers more productive, thus saving money, Zames said. As per reports, the firm can also tap into outside cloud services from Amazon.com Inc., Microsoft and IBM. The firm would also make its cloud-backed technology available to institutional client who would be enabled to access balances, research and trading tools, bypassing salespersons and support staff. Similar step was taken by Goldman Sachs in 2015. The firm has also undertaken measures to shore up its cyber security after the 2014 data breach. Another programme called X-Connect, which went into use in January, examines e-mails to help employees find colleagues who have the closest relationships with potential prospects and can arrange introductions. For other regular but simpler operations like granting access to software systems and responding to IT requests, the bank has created bots, which are expected to handle 1.7 million access requests this year, doing the work of 140 people. While the techno rush has created fear that the thousands may be robbed off their jobs, the industry is, however, more focused on the benefits. A survey conducted, however, revealed that a majority expects that the new technology would only improve career prospects and improve workplace performance. “Anything where you have back-office operations and humans kind of moving information from point A to point B that’s not automated is ripe for that,” Deasy said. “People always talk about this stuff as displacement. I talk about it as freeing people to work on higher value things, which is why it’s such a terrific opportunity for the firm,” Deasy added.